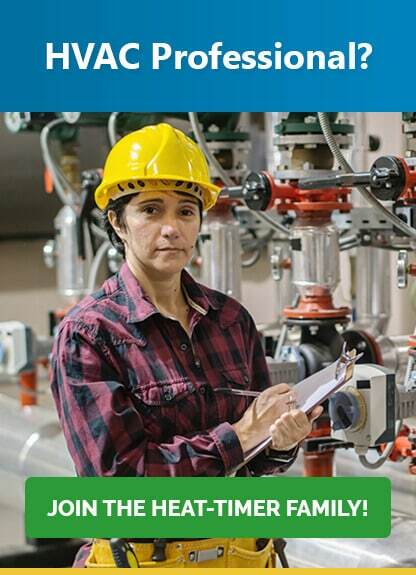 HVAC Professionals installing or replacing heating systems in commercial buildings know that it makes little sense to upgrade those components without addressing fundamental issues of energy usage and control in those systems at the same time. With HVAC systems typically making up well over 50% of energy costs in a building, making sure those systems are running efficiently is the key to reducing operational costs. Turnkey, self learning heating controls from Heat-Timer® are widely regarded at the Cadillac solution to HVAC control systems in the commercial building space. Since 1937 our controls have evolved to embrace every major advance in technology. Today our platinum series HVAC controls embody every element of modern technology and advanced software development. Use of our wireless sensors makes installation and monitoring over a distributed campus or large building, much easier. Self-learning software algorithms actually learn the heating characteristics of zones in your building over time, and become more and more efficient. through our free mobile app, or over the internet. The convenience and simplicity of this monitoring is literally a building owner’s dream. Network connectivity through Bacnet. Using our advanced network protocol, our components communicate easily with each other allowing easy expansion of, and integration with our system. 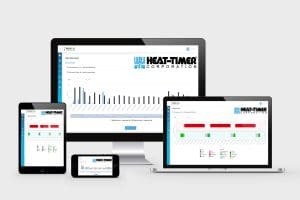 BMS integration – With Heat-Timer® systems, you’ll roadmap perfectly into any building management system you may choose to implement in the future. We support industry standard protocols that allow our Platinum Controls to function perfectly as the heating control subsystem inside a larger BMS. To the average consumer, the thermostat on the wall is as much of an HVAC Control as they will ever need.